Listen to the Mp3 on the BacktoFrankBlack Stream or download using the links below! 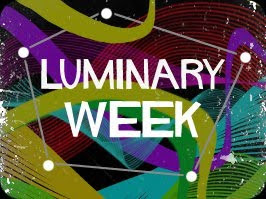 In this episode of the Mill ennium Group Sessions series, Troy and Jim bring a close to LUMINARY WEEK with a diverse panel of guests to discuss possibly the most analysed episodes of the show: Luminary. This and a few surprises! This free podcast is available on a weekly to fortnightly basis via ITUNES and BacktoFrankBlack.com. We'll naturally update you all on information on the podcast from this blog as well. PLEASE LEAVE A COMMENT ON THIS BLOG! 13 Responses to "Millennium Group Sessions #11 - LUMINARY (guest star LANCE HENRIKSEN)"
It's the same download link for the m4b version and the mp3 version. Just a heads up, check the mp3 link again. Happy times ahead, thanks James and Troy and all the gang. Will comment again with feedback. My bad! Thanks for the quick feedback. Issue resolved! I have listened to the edited version and look forward to an evening of listening to it again, as downloaded from ITunes. I must say how much fun I had with this group discussion. Troy, James, William and DiRT made this exchange of thought very relaxing, informative, entertaining and enjoyable. Thank you gentlemen! I am honored to have participated and look forward to all the comments. Bring them on!!! Brilliant podcast and you all got Midas' touch, it was GOLD! So much insight and personal perspective came out of this frank fan panel discussion. I'm also in the same camp as many of you fine folks, of appreciating the episode with each viewing, while I can't say that it's one of my favorites, it's still a solid episode. Now with the body, it's true that it's Alex's orange jacket/coat. We saw it in a picture which was given to Frank at the Glaser residence before he went to Alaska. Alex was not wearing it on the mugshot and it appears he's wearing a black coat there. But when Frank finds him he's wearing a flannel shirt or something like that. I can see it as metaphorical/allegoric that's it's his old self/old life, especially since it's his voice over when we see the body in the river in the teaser. But it's clear, I think, he had given the orange jacket/coat to someone who happen to drown in the river. While it's strange that we couldn't have a straight answer after the trip, a DNA test could have been done, but obviously they wouldn't get the answer on location in Alaska. So, I understand why they left this information out. And I hadn't even thought of this, that Frank stayed, when they left with Alex going to the hospital, because he wanted to experience this for himself, to become a Luminary himself...in a way. I always thought he dis so as Peter Watts was there, Frank Black had this intense expression on his face which displayed dislike in my mind. And thus he didn't want to go with them. But he also did so, as he said, "you take him", placing responsibility on Peter, after the Group shut him out. Thanks for an entertaining podcast, ALL of those that were involved, no matter how brief your participation was. You have not lost your touch, in fact, "you can't touch this!". The Enhanced, IMO is the prefered one to have, as the images do help the listener along with the dialogue. Where I can, I drop in relevant images to go with the conversation. Dirt - that was a glitch - I duplicated the 80mb Mp3 for both links! The enhanced is a compressed file of 20mb that works on apple products (Itunes, Ipod etc), and is unnoticeablely not so high quality - but you do get the images in there to make up for it!. This episode is one the best episodes of Millennium I have ever seen. There must be movie, it has to be done. Enjoying the panel discussion format and what a cracking episode to start with. Having Lance on the show again was brilliant too. Sorry to post this late, but I really, really did enjoy this discussion of Luminary. It was a terrific surprise to hear Lance as a guest! So many good points were made about Luminary. It was like yet another layer of the onion was being pulled back - definitely a quality episode and a quality podcast all-around. I've wanted talk about this show for so long, so I am really glad you are here and doing this. Thanks for all the hard work. I think it is going to pay off! just finished up the podcast and I will have to say I thought it was a very thought provoking one and made you really stop and think about your life... what a great podcast when it does that. I understand what you mean James about family, while family is important and is the basic foundation for our social development, as we get older we grow into our own person.. Being a parent of one adult daughter and one almost adult son, it is so weird that there are things i can talk about with my daughter now that i couldn't do when she was younger. It is almost like you become an equal with your children or vice versa. Finished listening to the Luminary podcast last night. Very thought provoking and moving. I didn't agree with all of the thoughts and comments said during the discussion. But it was one of the best podcasts I'd listened to. The Anamesis discussion was very good and this one was too. Just finished listening to the last two podcasts while working. Have to say, the Luminary discussion was not just your best episode so far (and after some of the interviews you've done, you set the bar pretty high), but the best example of the podcast medium. Connecting the stars of the show with the fans of the show, discussing the layers of meaning behind the episode, just outstanding. Thanks to Lance for taking the time to do that. Even though Luminary is not in my favourites list (I think the somewhat overearnest voiceover puts me off and pulls me out of the story too much), you've made want to rewatch it and re-evaluate it, especially now from a fathers point of view. I've noticed certain films or tv that didn't work for me before the birth of my daughter now have much more resonance because of the new unexpected emotions parenthood brings. Maybe Luminary will be one of them. Also on the subject of feedback- I know it can sometimes seem like you're shouting into an empty room, trying to get the people you're doing the work for to respond; I deal with that all the time on the magazine. But you're doing good work. And when the movie is greenlit, and we're all invited with Lance to the premiere at Mann's Chinese Theatre, and we sit next to each other as the lights dim, you'll know it was all worth it. After all, we are all shepherds. I've gone out of order to jump ahead and listen to this podcast, as my e-mail address will attest to the fact this is one of my very favourite episodes of Millennium. It was interesting to hear others’ views on this one, even when I disagreed at times, and I would certainly welcome more of these in-depth episode discussions. I have to record a disagreement on one point - that it was a weakness of the episode to not reveal the identity of the dead body that was found - as this was surely an episode that asked more questions than it answered thematically. It doesn’t really serve the story to know who the body was, would only have distracted from the main thrust of the episode and - to echo Lance’s comments from elsewhere about how unrealistic it is to have every answer wrapped up within an hour every week - was perhaps more true to life to be left unsolved. There are no easy answers in this episode. And also I have to confess to doing a double-take at the start of this one. For a moment, I thought Troy had finally perfected his Lance impression, only then to realise it was really the man himself! That was a very welcome surprise and Lance brought some great insight into this episode and its themes. It was especially pertinent to me to hear his wisdom about times in life when he’s understood the drive to escape into the wilderness and seek solitude. Also, perhaps more than any other episode, it really does go to show that the character of Frank Black is so strong that he can work in any number of scenarios. There are hints of what is to come with The Millennium Group's dark underbelly here, but I think it makes a very strong case for the fact that just as we're on the other side of the year 2000, the concept has longevity and potential so long as Frank Black is front and centre. A great discussion on a great episode, then, so thanks for that. I’d go beyond saying Luminary is one of my favourite instalments of Millennium to say it’s actually one of my favourite episodes of any drama. I don’t think it’s such a thematic diversion from what the show was about either, as surely there is no other single episode that provides such a profound exploration of the mantra “this is who we are”.